The month of December is known for holiday festivities. 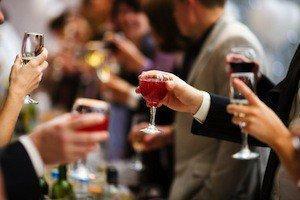 Families, friends, and even workplace parties fill up many of our weekends. With that in mind, the President has once again declared December as National Impaired Driving Prevention Month. The annual designation began in 1981. Despite the great strides that have been made in educating the public about drunk or drugged driving, the statistics reveal that it is still an epidemic. According to the National Highway Traffic Safety Administration (NHTSA), three out of every 10 people in this country will be involved in an alcohol-related crash during their lives. Tragically, approximately 11,000 of those people will be killed in those accidents. The number of alcohol-rated fatal crashes almost doubles on weekends, compared to during the week. During the week, approximately 15 percent of all fatal car wrecks involve alcohol; however, on the weekends, that number spikes to 30 percent. During this time of the year, December 22, December 23, December 24, and January 1 are the deadliest days for alcohol-related fatalities. During the summer months, July 3, July 4, August 3, August 4, September 1, and September 2 are the deadliest days. The number of drivers involved in fatal crashes and who are found to be under the influence of drugs has also increased. These numbers include drivers under the influence of both illegal and prescription narcotics. Almost 20 percent of fatal crashes on weekend nights involved a drugged driver. The most common drugs were marijuana, cocaine, and methamphetamine. If you cannot get a ride, then stay where you are for the night. Sleep until you are sober. For people who are hosting holiday events, make sure that your guests have a plan if they are going to be drinking, such as a designated driver. If someone has been drinking, do not let him or her leave your home. Take their keys away if you have to. If you have lost a loved one in a drunk driving accident, please contact an experienced Westport wrongful death attorney to see what kind of legal recourse you may have against the driver responsible for your family’s pain and loss. Could Keyless Ignition Systems Lead to Carbon Monoxide Poisoning? 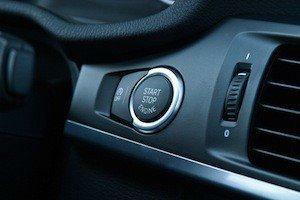 The majority of new cars sold in the United States and abroad come with a keyless ignition option. Vehicle owners are given a key fob, which is a device that has security authentication built into it, and is used to control a network. Many people are familiar with key fobs because these devices have been use for several years as a way to unlock and lock vehicles. New cars now use key fobs in place of ignition keys. A driver can actually start his or her vehicle without a key by pushing a button in the vehicle, as long as the key fob is close by, such as in the driver’s pocket or purse. Still, are these keyless ignition systems safe? Not according to a recently filed lawsuit, which claims that these systems contain deadly defects. According to the lawsuit, the danger occurs when drivers leave their vehicles running and walk away, believing that by taking the key fob with them, the vehicle will shut off. However, the engines do not shut off; instead they keep running and emit carbon monoxide—a deadly gas which is odorless, colorless and tasteless. This can be especially dangerous when the vehicle owner has left his or her car in the garage of their home. Instead of shutting off, the carbon monoxide vapors seep into the home, poisoning unsuspecting victims. So far, there have been 13 deaths attributed to carbon monoxide poisonings linked to keyless ignition systems, and many more injuries. The National Highway Traffic Safety Administration has received at least 27 complaints from consumers. The lawsuit names ten major car manufacturers as defendants—BMW, Fiat Chrysler, Ford, General Motors, Honda, Hyundai, Mercedes-Benz, Nissan, Toyota and Volkswagen. Attorneys for the plaintiffs claim that the defendants were well aware of the defect in these ignition systems for years and could have averted the dangers by installing a safety feature which would automatically turn off unattended running engines. They go on to claim that not only was this feature an inexpensive one to install, but that both Ford and General Motors had actually applied for a patent on the feature. If you have lost a loved one due to an accident caused by someone else’s negligence, please contact an experienced Westport wrongful death attorney to find out what legal recourse you may have for your family’s pain and loss. A fatal train crash has occurred—this time in Valhalla, New York. Six people were killed and another 15 injured when a commuter train smashed into an SUV that was stopped on the tracks at the crossing. According to officials, the “electrified third rail on the tracks became dislodged after the impact and pierced the floor of the front train car.” Almost 400 feet of track will need to be replaced. The investigation into what caused the crash is currently underway by both state and federal officials. One of the most tragic, and often avoidable, fatal accidents are those that occur at railroad crossings. The impact of a train slamming into a car at a crossing has been compared to the impact of a car crushing a tin can. In the U.S., every 90 minutes a train and vehicle collide. Every year, there are approximately 250 people killed and another 1,000 seriously injured in railroad crossing accidents. Many of these accidents are often caused by a vehicle driver attempting to get around the gates of the crossing, or through flashing lights which signal that a train is coming through. By law, drivers are required to stop when these warning signals are in place. Most of these crashes occur within 25 miles of the vehicle driver’s home. However, it is not always an impatient driver who is at fault in these accidents. Statistics from the Federal Railroad Administration reveal that more than 80 percent of railroad crossings have inadequate warning signals, leaving drivers completely unaware that a train is approaching. 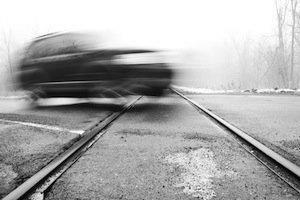 The consequences of train/vehicle accidents can have a dangerous ripple effect. Many of these crashes result in the train derailing off the tracks which greatly endangers the passengers. There are also dangers when the involved train is a freight train. Many freight trains transport hazardous cargo, which can put an entire community in danger if the toxins are exposed to the atmosphere in a crash. If you have lost a loved one in a train or vehicle accident, please contact an aggressive wrongful death attorney in Westport, Connecticut to discuss your case and determine what legal recourse you may have against those parties whose negligence were responsible for your family’s tragic loss.